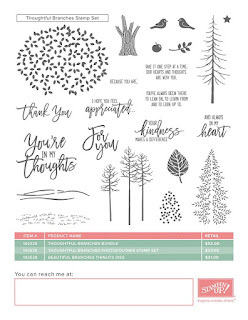 What's Up Wednesday - Last Few Days To Get The Stampin' Up! 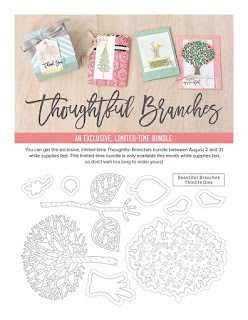 Thoughtful Branches Exclusive Bundle! Good Morning Everyone! It is the final few days of the Stampin' Up! 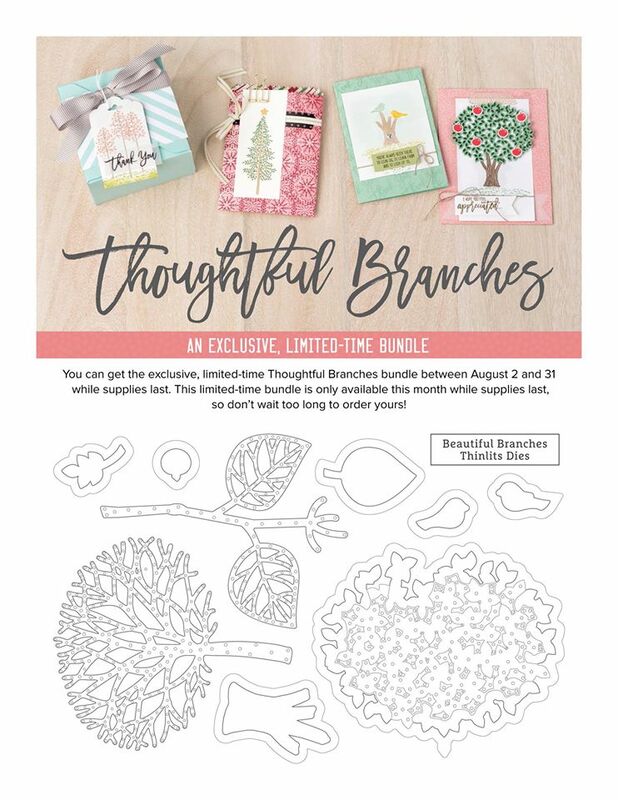 Thoughtful Branches Exclusive, Limited-Time Bundle! After August 31, 2016, it will not be available for purchase. Not only does this stamp have beautiful images, but also the coordinating Beautiful Branches Thinlits Dies as well! Plus, you can create cards and projects for every season and a variety of occasions. Don't let this promotion pass you by! All exclusive items associated with this promotion will be available until August 31, 2016 or while supplies last. Customers may use Bonus Days coupons on the stamp set, Thinlits, or bundle. All order types qualify for this promotion. No minimum purchase required. 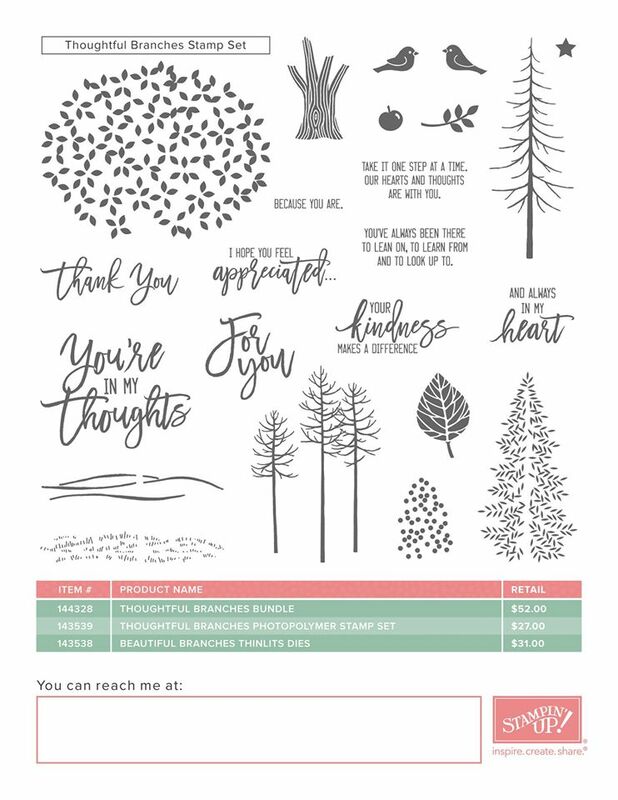 If you would like to purchase the Thoughtful Branches Bundle, Click Here!